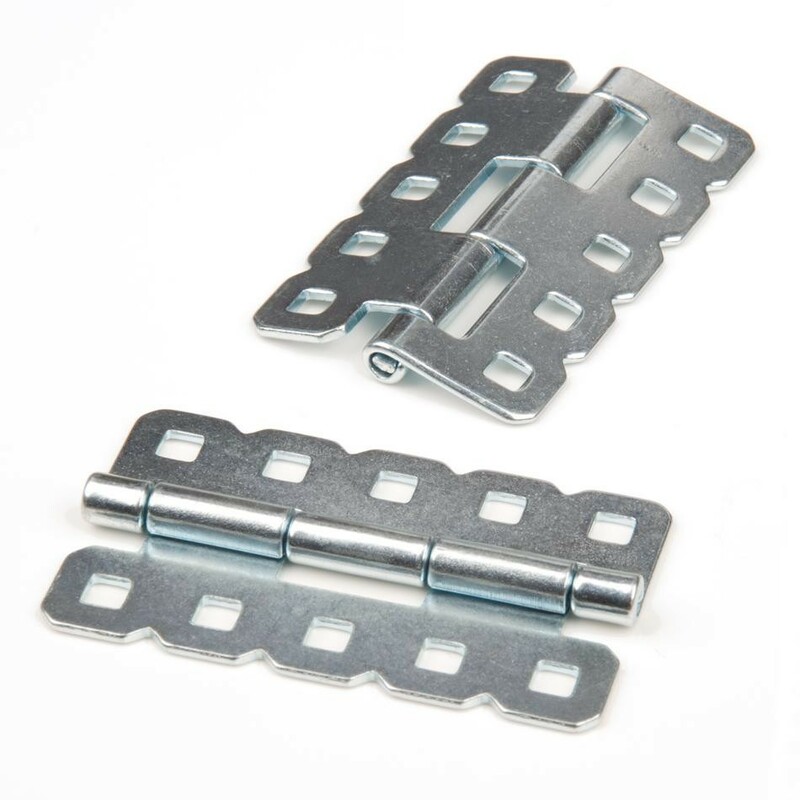 VEX Hinges provide a pivoting joint between two pieces of VEX structural components. These hinges are about 2.5" long and 1.3" wide. 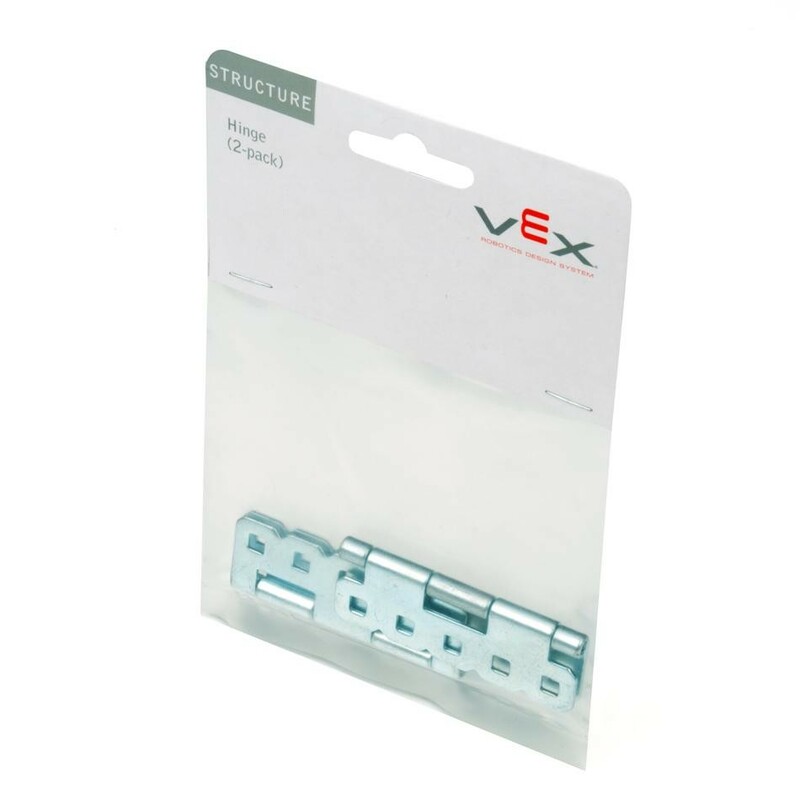 Each section of the hinge has a mounting surface about 0.5" wide, and includes (5x) VEX Square holes on the standard VEX 1/2" pitch. The hinges pivot approximately 265-degrees. The left picture shows the VEX Hinge in the 2 maximum positions.